Below is an article originally written by Stephanie Lee at PowerToFly Partner Buffer, and published on January 7, 2019. Go to Buffer's page on PowerToFly to see their open positions and learn more. Experimentation and iteration lie at the heart of a lot of things we do at Buffer. If you've been following the Open Blog for some time, or even if you've just popped by (hey there! ), you might notice that we reflect on remote work– a lot. Our remote setup enables our distributed team to work wherever they're happiest and that freedom is a much-valued perk that Buffer teammates enjoy. Our employees feel trusted to be in control of their job, and for us, we enjoy less overhead and the benefit of hiring without the confines of geography. We're always looking for new ways to improve the remote work experience for our distributed team and remote team meetups, which we call On-Sites, are proving to be invaluable supplements to our remote setup. It probably sounds a tad ironic at this point – to rely on On-Sites when we believe so strongly in remote work – but hear me out. 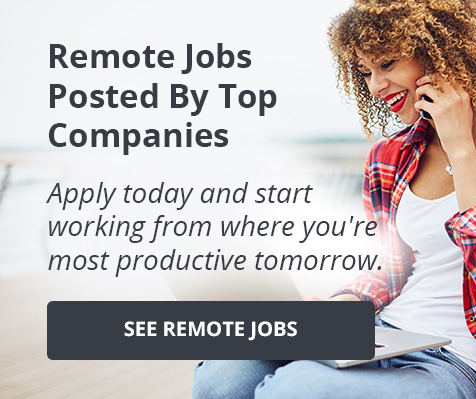 Why host remote team meetups if you're fully remote? While we wouldn't trade the value of being a distributed team, it's hard to deny the value of face time for team morale and serendipitous connections. Nine annual retreats (and the thousands of hugs exchanged) have shown us exactly how precious our time spent together is, and prompted the idea for smaller remote team meetups. While the People team continually experiments with ways to cultivate that sense of serendipity across timezones, there's no replacing the warmth of a real hug or the joy you get from watching a smile spread across someone's face and light up their eyes without the filter of a camera lens. Real human interaction with those that we spend our days collaborating and creating with is key to our remote team meetups. As the team grows in size, annual retreats are increasingly focused on team culture and company-level strategy; in fact, one of our key retreat objectives is to maximize team bonding opportunities throughout retreat week. This leaves little time for heads-down collaboration within the team. Furthermore, although our remote team is fully-equipped to work together across time and space throughout the year on both day-to-day tasks and high-level strategic planning, the sense of isolation that comes from waiting a whole year to meet your team face-to-face can make things more challenging than they have to be. It's not that we can't have these high-level, strategic discussions remotely. Rather, it's the invigorating effect that the dedicated team meetups have that excites us and inspires us to carve out a space for the same collaboration in our day-to-day. To gain that interpersonal connection that drives our every day work, On-Sites are our solution. Our customer advocacy team at an on-site in Miami (2018). We introduced these in-person, work-focused team meetups in 2017 to supplement the annual retreat and haven't looked back. With the annual retreat happening in Q2 and On-Sites mostly planned for Q3 or Q4, we've found that there's enough face time to maintain that sense of connection between coworkers over the year. On-sites carve out the space to be intentional about high-level matters each team/area wants to tackle. It's often easy to get carried away with the day-to-day – there's always one more email to reply to, one more expense report to clear, one more pull request to review; On-Sites give us that blocked off time to be fully present to each other. They give us the opportunity to work on foundational things that align us as a team and things that help make the day-to-day a touch smoother and more cogent. In my previous professional life as a teacher, I often designed lessons with the end in mind. What is the outcome I'd like to achieve here? This approach informs much of how we design On-Sites at Buffer. We begin with the intended outcomes of the remote team meetups and figure out the rest from there. Outcomes such as who's attending and what the purpose of the On-Site is help crystallize further details such as where the On-Site is held and how long it will be. While we did not prescribe a fixed number of days for the On-Sites this year, many teams decided on 3 full work days bookended by 2 travel days. High-level vision and strategy discussions can be energizing and draining all at once and it feels like 3 days was just right for most teams to power through all the topics while managing their energies and getting some team bonding time in. This duration also preserves weekends for family time before and after this week-long business trip! For meal expenses, we defaulted to putting large charges on company credit cards and working out a per diem for each On-Site. The amount varied depending on which city the team was headed to as well as further details like whether breakfast was included in our lodging arrangements. Given the intensity of a 3-day 'hackweek' of sorts, we also strongly encouraged teams to search for lodging options that afforded everyone their own personal space at the end of the day. Although recommending a private bedroom and bathroom for each person limited options a fair bit, this guideline has generally been well-received! Breathing room at the end of a wild workday is always welcome. All remote team meetups had a main planner who collaborated with a People team member (that's me!) to make the event happen. The On-Site owner and I either co-planned the meetup or they planned the entire event on their own while I remained available to consult about key decisions along the way. We kept these remote team meetup discussions separate from the day-to-day by creating temporary Slack channels for each event. This made sure that On-Site specific decisions were attended to in their own space without disrupting the day-to-day discussion in teams (and vice versa!). As with annual retreats, we made in-person attendance optional this year. Teammates may find travel challenging for a variety of reasons and some of these challenges could be overcome by taking the On-Site directly to those teammates (e.g. the Mobile team headed to Missouri to be closer to Jordan who had just come back from family leave, and the People/Finance team met in Portland where Nicole lives). When that was not an option, we experimented with variations of virtual and in-person meetings. Although these were tricky with some teammates flying a full day to be present at the On-Sites, meetups with full in-person attendance had arguably the smoothest experience once everyone had arrived and settled in. Groups either worked from a coworking space near the hotel, or in the case of the People/Finance team, worked out of the living room of a serviced apartment. Having everyone located in the same physical space made it easy to adapt the agenda as the days shaped up. Starting and ending the work day together also helped everyone feel fully involved in major decisions that were made or touched on. On the other hand, expecting teammates to take a full week out of their lives to travel to (sometimes) faraway destinations for a 3-day meeting can be a tall order. It was especially challenging for folks who had to skip several timezones in order to do that – long-distance travel can be physically demanding and some teammates only fully acclimatized to the timezone changes towards the end of the week. This also may not be the most inclusive option for teammates' who face more challenges around business travel or travel in general. This is something we are continually reflecting on. Fully virtual On-Sites, like the Executives' hyper-focused 2-day series of Zoom calls, also went rather well with everyone located in the same virtual space. Much like the first option, having a clear start and end to the work discussions was helpful, and having everyone located in the same space, albeit virtual, made it easier to adjust to updates to the agenda. A key learning we had from the very first People/Finance On-Site back in 2017 was the importance of determining what a workday might look like for virtual meetups like this. When you have people calling in from different timezones, the reasonable overlap can be quite small, and the agenda needs to be adjusted accordingly. For instance, as an APAC team member, it was quite difficult for me to attend the first 2017 People/Finance On-Site virtually as we have a 13- to 15-hour timezone difference across our team. The solution then was to fly me to a closer timezone to make the remote team meetup possible and it worked really well! One thing that we could do a better job in for fully virtual meetups, though, is being mindful of the need for breaks. When everyone is located in the same physical space, it's easy to spot signs of fatigue on a teammate's face and it's also relatively straightforward to slip out of a meeting for a quick break. When you have a webcam focused on your face all-day, though, it can feel a little more difficult to slip out for a quick breather. We worked with the partial model in a bid to accommodate each teammate's needs around time away from home and it's really the only possible model for teams with folks who are quite unable to travel. Just as companies with a partially remote workforce face challenges that fully remote teams escape, we found that this model had greater demands than the first two and called for a more deliberate and mindful approach. For starters, being mindful of designating work hours that take multiple timezones into consideration is especially key to be considerate for teammates calling in from different regions. Teams that went with this model also had to navigate the tricky experience of spontaneous after-hour conversations that happen when the team is kicking back and relaxing. These tend to happen serendipitously and can be super fun! However, virtual teammates miss out on this vital benefit of the meetup. Ensuring that the virtual attendees feel involved in the whole On-Site experience is important. Looking back, it felt like we were most-equipped to collaborate at maximum efficiency when the On-Site was fully virtual over video calls or when everyone was physically present in the same space for that week. Managing a partial in-person team experience, on the other hand, is something that's still quite new to us and we see much room for improvement there. It would be fantastic to learn from other companies who have grappled with meetups of this nature too. 1. How we can be more strategic with On-Site planning? Conversely, spacing out the On-Sites to alleviate the travel demands on those teammates that need to travel to two or more remote team meetups seems like a viable option as well. 2. What are our expectations around travel to remote team meetups? This reflection mostly centers around questions of whether attendance is truly optional for all folks on the team. Is it, say, really an option for a teammate in a faraway timezone to attend one virtually? And does the immense value of having team leads present in person make virtual attendance a non-option for them? How optional are we willing to make On-Sites next year? We're still ruminating on these questions and it's hard to say for sure what we'll decide! 3. How can we be more mindful of the experience for teammates who cannot physically be present at On-Sites? Regardless of where we land on the previous question, it remains a reality in our diverse team that some teammates will not be able to attend On-Sites. I see it as one of our key responsibilities on the People team to never stop thinking of ways we can increase the quality of the experience for virtual attendees of On-Sites. Whether it's introducing guidelines around asynchronous communication during that week, or providing equipment to encourage a more consistent or robust experience for virtual participants. There's plenty more we can do! With so much to chew on, we're incredibly excited to start crafting the On-Site experience for the Buffer team next year. As always, candid feedback from the team on what went well and what needs improvement has been immensely valuable and we're grateful to folks for taking the time to share their thoughts.